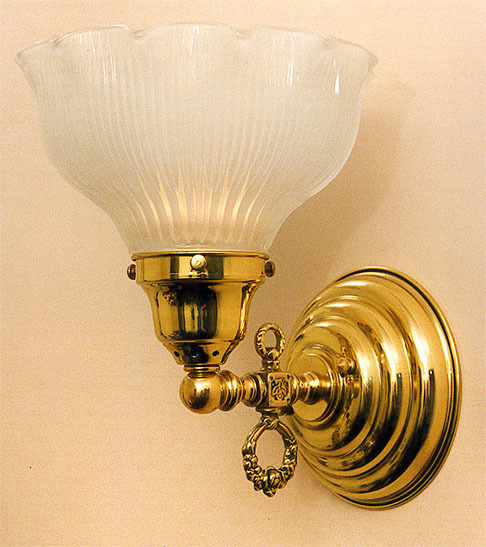 Another terrific single Colonial wall sconce with an added hint of Art Deco. Pie crust prismatic shade, double sided gas key and mirror finish bring this one to life! Shiny metal's not your thing? Try it in a darker, aged antique brass or oil rubbed bronze or even copper? Width 7 In. / Projection 9 In. / Depth 9 In.